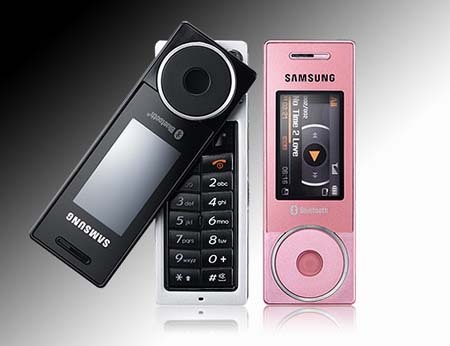 During our previous look at the Samsung SGH-X830, we were charmed by its soon-to-be-sued scroll wheel and swing design. Now we know more. The phone features a 1GB of storage, 1.3 megapixel camera, 128x200 pixel screen with 262k colors, Bluetooth and comes in 6 different colors (black, pure white, oasis blue, candy pink, orange and lemon green). Why do orange and black get the shaft when it comes to obnoxious color names? Apparently, when the Mini is closed, it solely functions as an MP3/MP4 player. It will be nice to have a media phone that doesn't always feel like a phone, but I hope Samsung hasn't made answering any trickier than just swinging the front open. Look for the phone in Europe by the end of the month, and hopefully the US eventually.